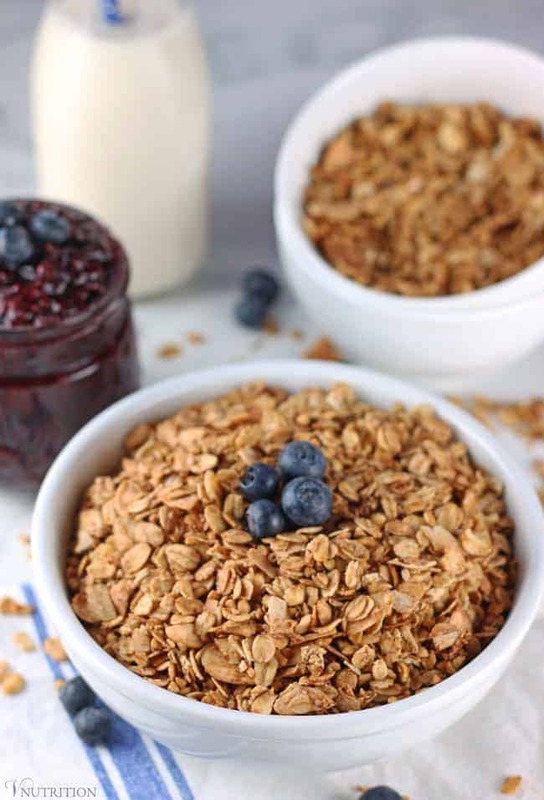 This Healthy Granola is a perfect addition to any breakfast or great as a snack on its own. It’s gluten-free and refined sugar-free but still totally delicious! I remember when I was younger thinking granola was a health food. It was probably because women on tv were shown trying to lose weight by eating things like granola and yogurt. My mom fell into that trap too, so from a young age, I thought that’s what I needed to eat to stay thin. Fast-forward to today when I know that many store-bought granolas and yogurts are filled with added sugar…but the marketing teams for these products are STILL trying to pass them off as a health food and that really makes me annoyed. Now don’t get me wrong, not all yogurts or granola are made with lots of sugar (or sugar substitutes) but it’s just something for us to be aware of when shopping. I love sharing healthy versions of foods with my readers. I don’t think we should miss out on tasty food because we want to be good to our bodies. To make my Healthy Granola I started with whole foods: oats, buckwheat, unsweetened coconut, and almonds. I only use a bit of real grade A or B maple syrup and some vanilla extract to sweeten it just a bit – no need for too much sugar. 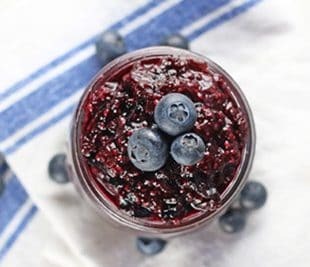 making berry parfaits – yum! I hope you love my Healthy Granola recipe as much as I do. If you try it, please come back and leave me a comment below with your feedback and star rating. 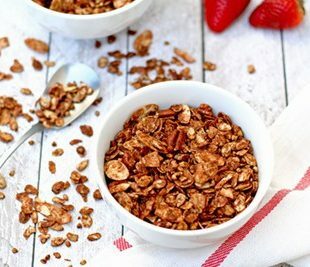 If you’re looking for a chocolate version of healthy granola, check out my Chocolate Buckwheat Granola. 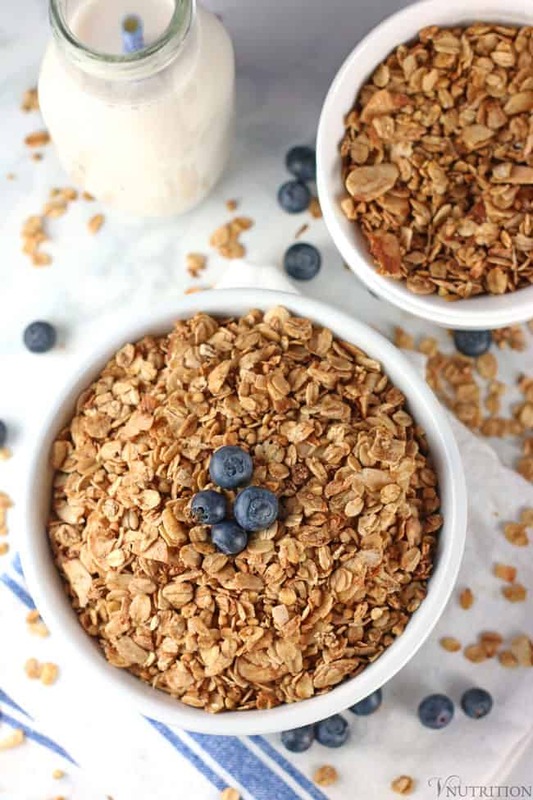 This Healthy Granola is a perfect addition to any breakfast or great as a snack on its own. 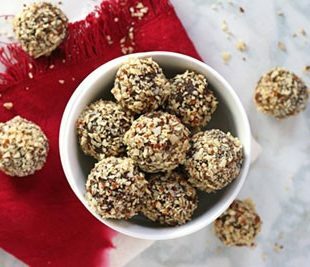 It's gluten-free and refined sugar-free but still totally delicious! Mix all dry ingredients (up to salt) together in a large bowl. Mix wet ingredients in a separable bowl then incorporate into the larger bowl. Bake for 15 minutes then flip the granola and bake for another 10 minutes. Store in airtight container for 1-2 months. 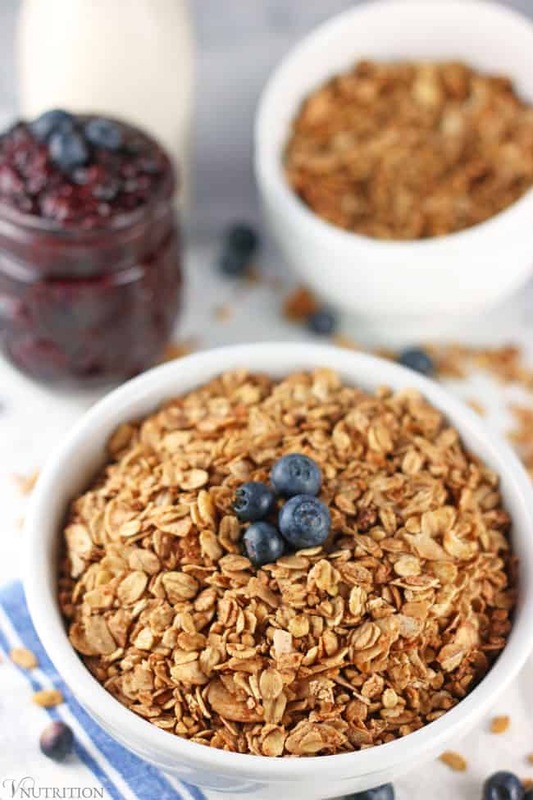 What are some of your favorite ways to use granola? Thanks Kari! Yes, I get so annoyed by tricky marketing…not nice! So true about granola, the marketing is crazy and true on so many foods. This recipe looks perfect, thanks! I’m glad you mentioned the “trap” women can fall into by purchasing “health” foods, only to consume something loaded with sugar. I agree- it’s very aggravating to see companies take advantage of diet culture. 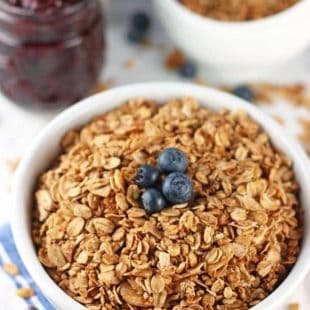 I love that you provided an easy (and ACTUALLY healthy) granola recipe! It looks delicious! I love, love, love granola! I love it as a snack as much as I love it for breakfast! Love your simple recipe—that’s the best kind! Hi Robin! I’m so glad you’re enjoying the granola! Sorry about that, I knew I was missing something for this post! There are 16 servings in the recipe so the nutrition info is for 1/4 of a cup.